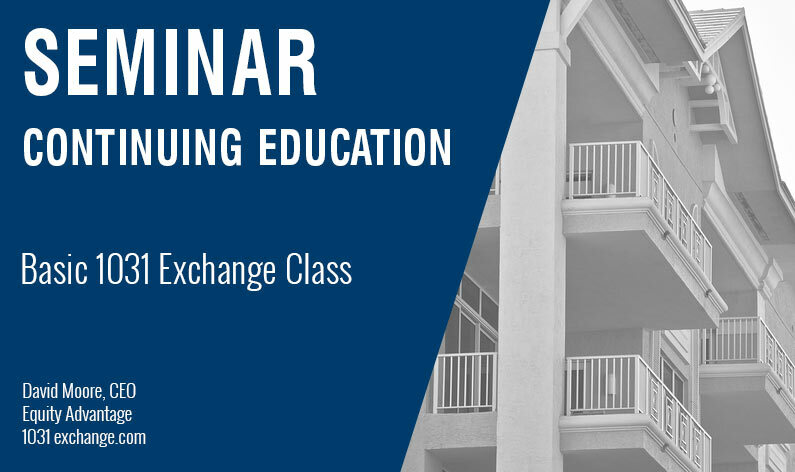 David Moore, Equity Advantage 1031 Exchange expert, covers 1031 Exchange basics in this introductory 1031 Exchange Class. 1 hour class: Plan to attend Wednesday December 12th, 2018 9:00 – 10:00 am Register at 503-619-0223. Special opportunity – learn IRA basics in the same day. Add the IRA Basics 1 hour class that will follow this seminar when you register.